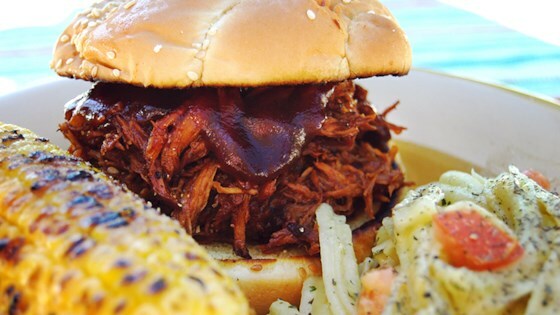 "Slow cooked, Texas-style pulled pork that is served on a buttered and toasted roll. My family's favorite." The pork can also be cooked on Low for 10 to 12 hours. Good flavor. Estimated cooking time was about right. The only change I made was omitting the thyme as I don't like the flavor with pork. I'll definitely make it again.